Outlining how the superficiality and the anti-intellectualism of the Evangelical movement are causing a major decline in membership and the remedy for it. Churches from numerous types of backgrounds see that their numbers are dropping and are quickly upgrading their style of worship, renovating the church foyer into coffee shops, pressing people into the weekly small groups, producing bigger or better special dramas or shows, or spending on new personnel and equipment to better communicate through the web, apps, video and other burgeoning technologies. These technologies help but there is something far more profound going on. Mark A. Noll, a well-known history professor at the University of Notre Dame adds to the idea of intellectual integrity. He wrote in his book, The Scandal of the Evangelical Mind that Evangelicals don’t think, and concludes that there is not much of an Evangelical mind. This problem then surfaces in the Evangelical church being ill-equipped to challenge the world of contemporary learning with little room for self-criticism or complex faith issues. Children today are raised in a social climate with accelerated methods of education that are complex. Therefore, the attraction between the younger generation and the older Evangelical culture is tenuous at best. Kevin Vanhoozer, a research professor at Trinity Evangelical Divinity School, adds to this. He believes that Evangelicals have never been taught how to think for themselves within a Christian framework. Evangelicals have been very good at providing Bible-study helps—word studies, for instance… But I’m not sure your average Evangelical is able to use the Bible as the interpretive framework for his or her daily life. One of the largest and fastest growing growing religions in the world today are the Renewalists. Renewalists is an umbrella term for Pentecostals, Charismatics, Third Wavers and any person or group influenced by their mystical doctrines. Renewalists are not equipped to engage with the national conscience. They have neither the knowledge of 2000 years of Christian history and practice nor the understanding of contemporary technology and social constructs to actively participate in the complex challenges that confronts society. They have instead retreated into the realm of Christian mysticism as an alternative. Many Pentecostals, and especially Charismatics, believe that reason and faith are opposite in meaning and that the only solution is to meet God through a mystical experience. Reason is a barrier. This solution appears even more distant and radical than the previous iteration of Evangelical Christianity to the public. Christian mysticism is a shift in approach, but the anti-intellectualism remains consistent. There have been so many changes in health, technologies, gender roles, morality, relationships, and scales of economics, that they have created many grey areas. The Bible was written when none of the present technologies and discoveries existed — contemporary discoveries that have a significant impact on our daily lives. They have created tectonic societal shifts. The future of Evangelicalism is how leadership engages in these discussions. Avoidance or one-word answers are not sufficient. Evangelicals are coming to realize, especially children growing up in this framework, that their religious system contains an insufficient answer for today’s challenges. Many churches promote the old Evangelical lines of accept Jesus or that any of life’s problems can be answered with Jesus or promote more faith, piousness, earnestness or sincerity to plow through life’s difficult challenges. It doesn’t take long to discover that these simple formulas do not work in most situations. However, it is not just millennials, it is also generation x people leaving as well for similar reasons. The war against modernity is over. Evangelicals need a new identity. The Evangelical movement has always been a counter-movement. One of its central tenets was rejectionist of modernity. Science was believed to be a competitor for the religious mind and the overthrower of the old order. This war against modernity is honorably lost, but many Evangelicals have not given up fighting. It is part of the Evangelical tradition. Evangelicalism as an opposer of modernism has run its course. It is no longer relative. The younger generation can no longer use this as part of their religious identification. The Church as a marketed brand instead of a trusted source has negative consequences. Another challenge is the fact that millennials and gen-x have become much more adept at screening out marketing and campaign pitches. That is old schtick. The Evangelical churches emphasis on slick marketing and branding with so little focus on content has hit many peoples BS radar. As of August 5, 2016, there are over five-million views on his delivery on this subject. He was merely reflecting a common public opinion – one similarly echoed in my home and community that surrounded me while growing up. George’s audience loudly cheered him on. The Evangelical church has not attempted in any way tried to remedy this tension except dismiss people like George, and the many millions, if not hundreds of millions of like minded people, as utterly lost. This is a massive failure in Evangelical leadership and severely dilutes their message. There are so many diverse Evangelical churches competing for the same audience that it makes propositional truth appear as a relative entity. There are so many independent Evangelical churches being established with different sets of values, missions, and emphasis, that the public has become confused on the Evangelical faith. With no central authority or definition, the conflicting messages remove the idea of consistent propositional truth. Evangelical churches are viewed then as a personal brand from the selection of choices found in the religious supermarket. The Church does not have the budget or the skills to compete as an alternative entertainment package. The attempt to compete with music studios, movie theatres, Netflix, sports and recreation for their audience has gone flat. They can never compete at this level and win due to the massive amount of money needed to produce a successful project. Neither is it the primary mission of the church to do this. Adapting to the changing role of church in society. The church as a universal institution was once involved in all the processes from birth to death. Education, hospitals, welfare, marriage, and cemeteries were fundamental in the realm of church affairs. These offices are now wholly transferred to the state. There is no primary role for the church in the present society. It is in an identity crisis. For the Evangelical church to survive, there are many there are many issues that need address. The first being the most critical one — real content through empowered leadership. Leaders need specialized training to lead congregations through the accelerating myriad of technological, ethical, and moral labyrinths being produced at a dizzying rate. Secondly, If Christians simply understood their history, there would be much less need to reinvent the wheel in many basic structures of right Christian living in this modern day. Studying the ancient sages is a good reference point and should be the start of creating a Christian worldview. As one reads historical writings, one will naturally conclude that these ancient writers were far more intelligent than given credit, and although our technology has evolved, philosophically, we are no different. For everything that happens today, there is likely a philosophical parallel in history where societies, communities, and peoples have wrestled with and have come up with a solution. Discovering these ancient writers and applying them to modern problems should not be a requirement for the lay-person, but mandatory for any church leader. It is their responsibility to communicate these messages in a manner easily understood by a contemporary audience. When using historical traditions as a guide for building an alternative worldview, it is not meant to be rejectionist of the modern science community or their opinions. Philosophically there are some crucial differences, but truth, whether found in science or religion, remains truth. An emphasis on content would bring churches to similar core values and the public would recognize a coherent set of truths consistent among the broad spectrum of the Evangelical faith. Evangelicals have to change the approach to Scripture. Scripture does not contain every answer to life’s problems. It does provide essential information on the character and nature of God, our relationship with Him and life’s vital questions. Where it is not explicity clear in Scripture or the challenges of technology go beyond the historic imagination, then it is the God-given role of the church to decide exactly what those answers are, based on inference, history, experience, and wisdom. It takes sharp, trained and experienced leadership to accomplish this. One of the most significant problems in building a comprehensive framework for understanding and interpreting life from a Christian religious perspective is the Renewalist/Evangelical bias of history. There is an assumption that the contemporary mind has far superior ideas about God, the world and life around us than a medieval man. This view tends to be rejectionist of all history and its writings. The attitude also holds great suspicion against traditional institutions such as Baptists, Presbyterians, and other mainline denominations. Unfortunately, this leaves us with a spiritual and religious void. There is a look to alternative solutions. 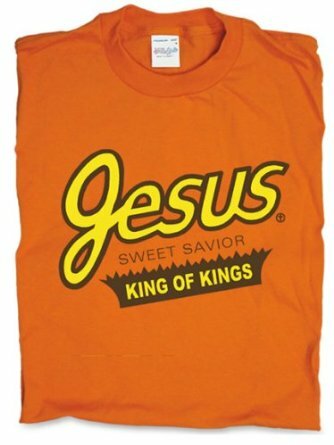 Celebrity endorsements, the building of a religious celebrity persona, cliches like got Jesus?, abandoning any sense of reason and going into an extreme form of Christian mysticism, or for some, crossing over into traditional Christian Orthodox or Catholic life, becoming part of the Messianic Jewish movement, or joining the Hebrew Roots Movement. The list is endless. So my answer on how the Evangelical church can remain relevant and attract people — get some rich content and communicate it well. Superficial can only go so far. This is a crisis time for the Evangelical movement. If it cannot redefine itself with a deep and real purpose, its future will be uncertain. Evangelicals on the Problem of Being Saved. What it means to be Saved. A textual look into the word for saved in Luke 7:50 and Mark 5:34. Fanatics, Extremists and Religion. Greatness and fanaticism is a part of the human condition and not restricted to a problem of religion. Charismatics, Headaches, and Healings. How staged healings hurt more than help the church image.